QWERTY keyboard is something very nice for those people who do not feel comfortable with touch screen or conventional mobile keyboard for sending messages and also for using Facebook, Twitter and other web apps. QWERTY keyboard is also comfortable for those people who are used to working with computer keyboard and they feel much safety in writing on the computer keyboard. QWERTY phones are very rare in market, especially in Pakistan and India and it is very difficult to find some QWERTY smart phones with Android OS installed in them. 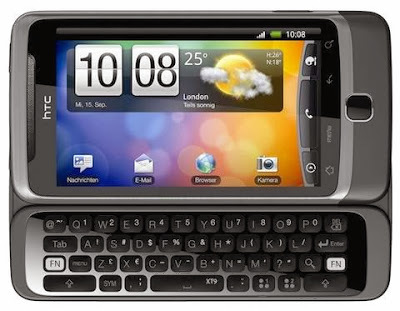 So I’ve composed for you a list of best Android Smart Phones which have the feature of QWERTY keyboard in them. This list is ranked on the basis of both the price as well as features and quality. i.e the phone with low price and better features / quality is ranked at top. Your suggestion regarding the listing would be valuable. This a really nice phone with Android OS 1.6 (Donut), upgradable to Android 2.1 (Eclair), 600 MHz ARM 11, Qualcomm MSM7227 chipset processor and high quality 5MP camera along with the feature of QWERTY keyboard. 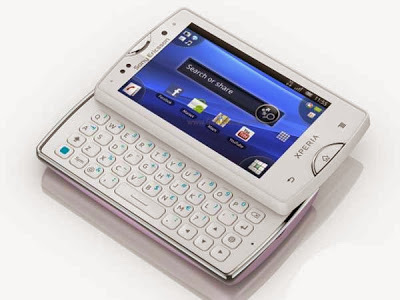 Sony Ericsson Xperia X10 Mini Pro is a keyboard Android phone with full slide-out QWERTY and intuitive touchscreen right at your fingertips. HTC is the best smart phone maker in the market and it makes it more awesome when powered by Android. HTC has added a QWERTY slider to it. And, a slide-out QWERTY slider with four-rows of keys! 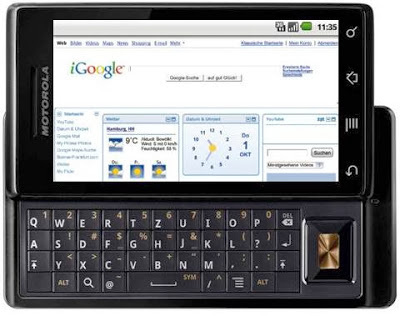 Motorola Milestone is another slider QWERTY based mobile phones from Motorola, which is one of the most thinnest QWERTY Slider phone available in market. Lets you do multi tasking easily with a Android v2.1. It comes with the most advanced Google browser and the very latest software with an advanced processor and 3G speed for faster search. Its now available for sale in India and Pakistan.